Fox News’ Kevin Corke reports on the growing truck driver shortage in the United States. The U.S. trucking industry is sounding the alarm about a growing shortage of drivers as truckers continue to retire in fairly large numbers. With the average age of the American trucker at 49 and more drivers leaving their jobs either for retirement or other reasons, the American Trucking Associations (ATA) says the industry will need nearly 900,000 new drivers over the coming decade. 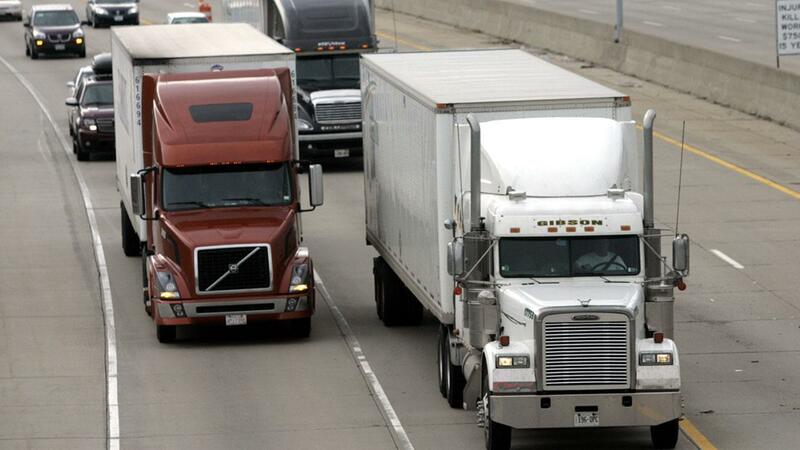 There are 100,000 trucking job openings across the country, but not enough applicants to fill them. Drivers can expect to earn up to about $70,000 a year plus benefits and a $4,000 signing bonus. Trucks account for 70% of all the freight tonnage of consumer goods that are moved in the U.S., according to the ATA. The ATA’s chief economist, Bob Costello, said consumers should be concerned over prices creeping up on their goods as the driver shortage worsens. “Everything you can essentially touch in your personal life, your furniture, your dishware, everything, it came on a truck,” Costello told Fox News’ Kevin Corke. In 2016, the ATA reported that the industry was short more than 36,000 drivers. That number has now surpassed 63,000 in 2018. “The sense of urgency for drivers right now in the industry has never been greater,” CDS Tractor Trailer owner and President Jill Balleh said.